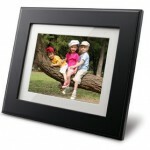 For the 3 of you that are still using FrameAlbum please note that the server IP address has changed. The old address was 64.2.142.182, the new one is 184.73.222.57. This is effective immediately. Sorry for the lack of notice. Well, hurray that it returned the standard unregistered frame info. panel with such little fuss… but boo that it is missing the really important bits of info necessary to actually register the thing. It’s off to the code I go! D-Link DSM-210? Anyone? Bueller? Anyone? 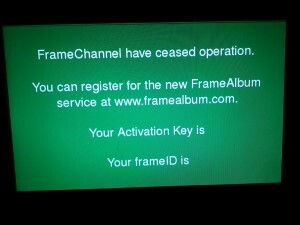 Through a bit of reverse-engineering and a bit of luck FrameAlbum now supports many of the original FrameChannel devices. 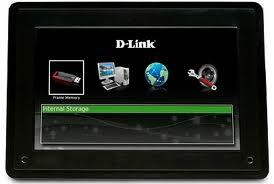 However, the D-Link DSM-210 frame uses a very different protocol and I’ve not yet been able to crack it. If you, or someone you know, may have some knowledge of how these things ‘talk’ to the old FrameChannel service I am VERY interested in chatting with you. I’m particularly interested in the folks who developed the software that runs on the DSM-210 frame, or, anyone from FrameChannel who may have access to the old protocol specs. So I managed to pick up one of these on eBay for cheap. It supports FrameChannel, Flickr and Picasa so I thought I’d give a go to supporting it on FrameAlbum. 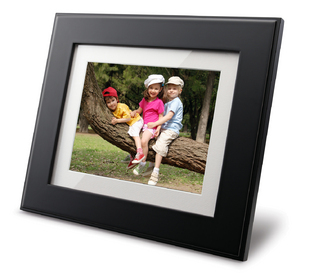 I will be digging into the technical issues of adding support for this frame to the FrameAlbum service. I’ll be using terms such as ‘DNS server’, ‘XML’, ‘packet capture’ and ‘negatively charged penguin bladders’ so if these are unknown/offensive to you read on at your peril.